Fragile as they are now and insignificant as they might have seemed to their authors, a remarkable number of medieval letters have survived the test of time. From these documents we can glean details of daily life, religious concerns, legal obligations, social anxieties and even love affairs. Examples of such correspondence were tucked away in handbooks known as formularies. Formularies have their origins in antiquity and were used for centuries as manuals for the art of letter-writing and epistolary theory. At some universities letter-writing was taught as a subfield of one of the cornerstones of medieval education, rhetoric, and was therefore viewed as an essential skill to acquire. The writing masters and the students who produced formularies for the use of diplomatic figures and the highly educated also compiled a swath of original, true correspondence that reveals the character and quirkiness medieval people undoubtedly had, but that is sometimes difficult for us to see beneath the layers of dust (and hard-to-read Latin). The details within these letters do a splendid job of shaking off the cobwebs and may even remind us of our own modern attitudes as well as show how much things have undoubtedly changed. This missive was found in a group of ten letters that modeled how to properly write orders and prohibitions and is prefaced with such instructions that I have omitted here for sake of space. The circumstantial details of the letter, however, excite the possibility that it is genuine or at least based on a letter written by the fourth earl of Gloucester, Amaury de Montfort-Évreux. The letter itself paints a delightful picture of daily life and reveals the health regimen practiced by both men and women of the aristocracy. Wines and ale are ordered to be sent to “N.” (“name” – nomen in Latin – the equivalent of “insert place name here”) where the earl and countess are having their blood let. The large amounts of white wine and quality ale may have been meant to serve the earl and countess and their retinue as they traveled. If they were staying as guests in another household, perhaps it was intended as a gift to their hosts for all to share. These are all familiar concepts to us moderns – Grabbing drinks and snacks before a road trip … bringing a bottle of wine or case of beer to a party. The two flasks of chestnut wine, however, are an unusual, medievaly detail to which we shall return. Bloodletting (phlebotomy) was a therapeutic and diagnostic method drawn from the basis of classical and medieval medicine: the doctrine of the four humors which sought to correct an imbalance in the body through sweating, vomiting, evacuating the bladder and bowels, or bloodletting. Practitioners of therapeutic bloodletting were often barbers (Wait, what?) who, following correct procedure, raised the appropriate vein with warmth and rubbing and pierced it with a lancet to produce a gush of blood which was stopped when enough blood had been let. So where does the chestnut wine come in? According to Bartholomew the Englishman’s 13th-century encyclopedia, roasted or boiled chestnuts produced “good humors,” and remedied common side-effects of blood-letting such as dehydration and nausea. The chestnut wine, therefore, was likely intended as a special tonic to assist the earl and countess in regaining their strength after losing what could have been a considerable amount of blood. I like to imagine that the earl and countess thought of bloodletting in the same way we think of needles and blood-tests – as necessary evils. As a child, I cried every time those annual visits to the vampire’s nurse’s office rolled around. But the chocolate-chip oatmeal cookies that my mother prescribed afterwards to “replenish my blood supply” brightened my tear-stained face, and I think they serve as an adequate modern parallel to flasks of chestnut wine. If my mum had forgotten about those cookies she definitely would have moved me to iram by her negligenciam. When we think of the medieval forests of England what first leaps to mind? Magical woodland fairies? King Arthur and his knights on a legendary hunt? Robin Hood and his band of merry men? Woodland and forests have been romanticized a great deal (19th century, we’re lookin’ at you). In medieval literature too, a forest setting portends wonderful and otherworldly happenings. But when the average medieval villager thought about the woods … it probably didn’t make him or her feel all warm and fuzzy inside. The medieval forest was a place for poachers to lurk, outlaws to hide, and robbers to lie in wait, as this letter demonstrates. And just to be clear, in the medieval tradition, fairies are not sweet, sparkly, benevolent little guides who lead you to lands of enchantment … they are evil, tricksy, and not to be trusted! But I digress. 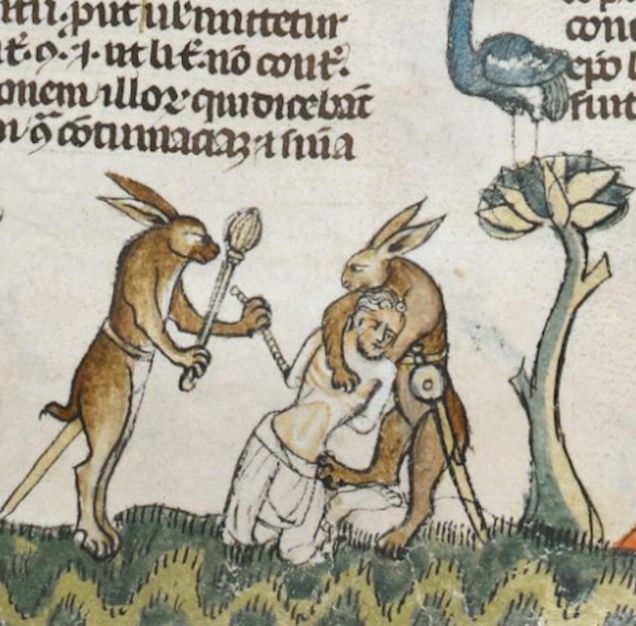 Like other marginal characters of medieval society, criminal gangs often resorted to forests on the edges of cultivated land as vantage points from which they preyed on local peasants. 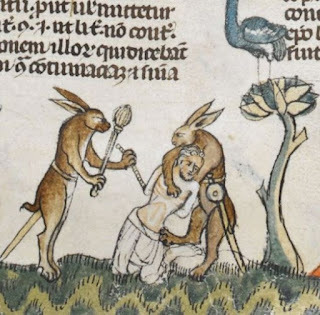 According to thirteenth-century justice rolls, gang-related crime was common and often involved hamsoken (housebreaking) which easily escalated to assaults and murders being committed in the process. That the letter is addressed to the sheriff from the king is peculiar, since it was rare for the Rex Angliae to personally involve himself in local peacekeeping matters. The letter’s introduction and rather threatening conclusion suggest that the sheriff’s negligence drove the villagers to petition the king directly for help against the attacks of the forest-dwelling ruffians. Perhaps the sheriff mistook the outlaws for jolly fellows who spend their time dancing and singing musical numbers in green tights. Letter 1 is from Martha Carlin and David Crouch, Lost Letters of Medieval Life: English Society, 1200-1250 (Philadelphia: University of Pennsylvania Press, 2013). Letter 2 is from Carol Poster and Linda C. Mitchell, eds., Letter-Writing Manuals and Instructions from Antiquity to the Present: Historical and Bibliographic Studies (Columbia: University of South Carolina Press, 2007).